Hope you can come on down for this festive--and final--JP Artists and Artisans event of the year. You can pick up your new calendar while you're there! For months now, I've been moving a bag of tulip and daffodil bulbs around: step to porch to shed to porch to kitchen and back to porch again. I had dug them up this past spring because they had long ago stopped flowering, a sure sign that they needed to be moved. I was supposed to replant them, but I kept procrastinating. I watched myself do this--all the way into October, and then November, which has brought with it the killing frosts. This cleared the land of any interference for sure: there was no excuse now. And if these bulbs were to live and produce again, I had to get them in the ground before it froze solid for the winter. Still, I kept procrastinating. And I knew why. I have one very sunny border here. 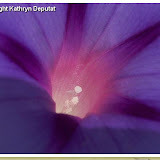 Most flowering plants need such full sun to thrive. So this part of my garden has grown quite dense with all my heart's desires over the course of my 16 years here. Iris, peony, rose; bleeding heart, primrose, poppy, dahlia, monkshood and mint. Not to mention the flowering bulbs. It's all packed in there together. These are all the fittest, who've survived tight quarters. When I've wanted to add or move something in the garden that involved deep digging, I would pretty much grab the shovel, cross fingers, and go. Much as I tried to avoid it, this method had me invariably slicing into something already established, inflicting mortal wounds. I hate this. I love Life, and I am no killer. Still, I'd routinely murder innocent, defenseless other planted things when I'd sink my spade into that earth. I couldn't stand to do it again, and this is what had me procrastinating. Then it occurred to me: I'm a dowser. I could dowse the earth for open spaces. If a pendulum could find underground water, certainly it could find underground earth! Still, as I set out to swing it over my garden, I was skeptical: I'd never used dowsing for this. But I figured it would at least reduce my odds of doing harm, so I started swinging. The pendulum showed me very definite yeses and nos--"Yes, dig here. No, do not dig there"--but still, when I dug at a "yes" place, I dug gingerly. I had decided in advance I would use a trowel rather than a spade. This was a good choice. It allowed me to dig precisely each time, in the very spot of the "yes." Any actuality can be dowsed. Anything composed of energy, that is. And what isn't? Even thoughts are energy. I can't explain how dowsing works; I only know that it does. Still, I felt a little strange out there, swinging and digging, swinging and digging. But you know? The results kept me doing it. The proof, as they say, is in the pudding, and this pudding was flawless. Each time, every time I dowsed a Yes, then dug in that spot, I brought up nothing but rich soil--and the occasional rock. Each time, I grew more and more amazed. I know what's in that garden. There are snowdrops here and there (though, short of dowsing for them, I'm not certain exactly where). There are chives. There are grape hyacinths along the entire border. There are lots more daffodils and tulips--oh, and I forgot about the crocuses--all multiplying by the year. I neither saw nor touched one of them. It was just as if I were digging in a brand new garden. Not a speck of harm was caused to anything, as one by one the uprooted bulbs (20 or 30 in all--it never occurred to me to count them) took their new places in the garden. "The unknown is knowable," I thought as I worked. I thought of all the things we say we don't know and can't know. When in fact the energy is there to be read. Ask, and it will answer--not by 'hocus pocus.' Dowsing is not magic, any more than a thermometer or a clock are magic. Thermometers indicate temperature. Clocks indicate time. Dowsing tools indicate energy. What energy? Whatever energy they are instructed to indicate: water, bulbs, earth--and just about anything else. I thought I couldn't know what was in the ground, that I would have to dig blindly. I was wrong. I just needed to ask. Photography reminds me whenever I engage it of the constancy of change. It reminds me that all is in motion before my eyes. I've written of this before, I know, but it bears repeating: there is no "later." There is only now--especially when it comes to displays of Nature. I keep thinking I am aware of how ephemeral it all is, but no. Apparently I need the occasional reminder. We've had a string of cloudy or rainy days. I've been particularly alert to this, being in the middle of a painting project that required less than 60% humidity and temps 60F or above to complete. Finally, the warmer, drier days came. Oh how I wanted to go off with my camera into the Autumn glow! But this is November, and the painting project by necessity would have to steal the best days for this. I needed to finish, and who knew how many days like this remained. So finish I did, and by that time, we were back to overcast. 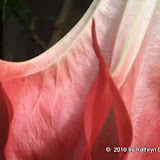 Meanwhile, passing the Arboretum in my travels had me rubber-necking for the Japanese Maples scattered along the Arborway side of the grounds: they shimmered in there like bright red or gold brooches against an otherwise grayish cloth. They called me in. But I kept not answering. I kept not being able to stop. "I've gotta get over there..." I would tell myself. But time and weather kept not coinciding. I knew the longer I delayed, the greater was the risk that it would all pass. Yesterday I had the time, so I went. If three steady years of photography have taught me anything, they've taught me this: it's all about the light. Yet there's more to light than the perfect slant of sun (though oh: what that won't do for an Autumn glow!) For sure, the Autumn glow--especially lit by early or late sunlight--begs for the eye, the lens to capture it. But grey holds vivid colors in relief, creating another sort of beauty. And then, occasionally the sun slices through that gray, and oh la la. That's a spectacle, for sure. Since Dublin, I damn near court and completely relish such "rainbow weather." It does crazy, magnificent things with light. But that wasn't happening this day, so I did what I could with what I had. I was already too late for some: a few of the trees were almost bare. But others (to my delight) appeared to be at their peak of color, and so in less-than-ideal conditions, with a slightly brightening overcast, I made my attempts to capture them. Then came the wind. An entire night of fierce wind, followed by...ta dah: sun. Spotty sun, but still, sun. This was the day I had been waiting for to photograph the maples. I knew the wind would have changed the fragile landscape, but still I had to go. I had to try to capture that shimmering glow. "Wow," was all I could say as I walked my bike into the grove. Here it was fewer than 24 hours later hard to believe and most of what had captivated me the day before was gone. There were new pictures to take, but not yesterday's pictures. It was kind of a shock to think how close I had come to missing all that outrageous, fiery beauty, waiting for the perfect light. Before I knew it, while I stood with the newly-bare maples, yesterday's glow a carpet at my feet, a bank of threatening clouds slid in. They brought with them a drama of dark and silver and light: rainbow weather at its best. I'd shoot, and then I'd wait. I did a lot of waiting. Sun was only peeking through in slices here and there. When it burned through, I watched a radiance spread over the landscape and be gone again as quickly as it came. I snapped as it moved. I got what I got. I waited. I waited some more. There were a couple of shots I wanted that a spot of sun would downright glorify. I watched the sky: it didn't look promising. Nothing but more dark clouds were moving our way. I'd gotten a lot, though. I would just have to let these others go. And meanwhile, I'd been there quite a while, and I needed to use the facilities. I hopped on the bike and headed for the main gate. After a stop at the washroom, I came out to brightening skies. Yikes! One last chance! I made a mad dash to the bike to unlock it, then pedaled madly, like Dorothy and Toto trying to escape the bad witch, toward the Japanese Maples with one eye on the moving clouds. There was just one break in the clouds coming. I could see, if I even made it in time, that I'd have half a minute at the most to take the shot I wanted. I knew just where to stand; I had moved the leaves aside in that spot to mark it. I dropped the bike--there was no time to park it; the sun was already dawning across the scene. It caught fire before my eyes with a color, a radiance, a sheer beauty too striking to be short lived. But it was. It is. I forget that. The camera helps me remember. It affords me the chance to fix these scenes in space and time--or their likenesses, anyway--at the same time that it puts me face to face with their impermanence. I witness these ravishing beauties and endeavor to capture them as I watch them disappear. It's calendar time! 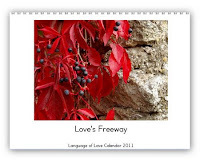 And the 2011 Language of Love Calendar is bigger and better than ever. Not only have I removed the photo captions to make more room for the images, but in honor of Love's Freeway's fifth birthday (wow!) next year, I've scattered five bonus miniatures across the calendar for our added enjoyment. Otherwise, this is the same high-quality, colorful, collectible calendar (with all new images, of course!) that we've come to know and love. And if you haven't known or loved one yet, why not start now? A petite caveat emptor, however: use of this product may become habit forming! Be sure to order yours soon if you want one. Why? Because it's a limited edition, a feast for the eyes, and... if you wait, they'll be gone gone gone. To view thumbnails, and to order, click here.